Research Based Look-fors: Feel confident that you are looking for best instructional practices with the latest educational research based look-fors. 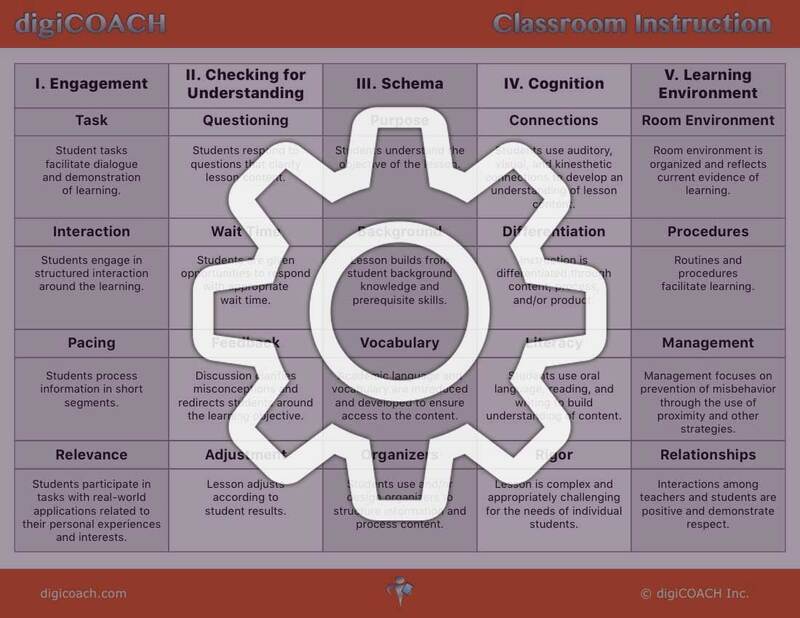 Coach Teachers: digiCOACH is the only walkthrough tool to include hundreds of prewritten, research based, commendations and coaching tips available for use in our built-in teacher feedback email feature. 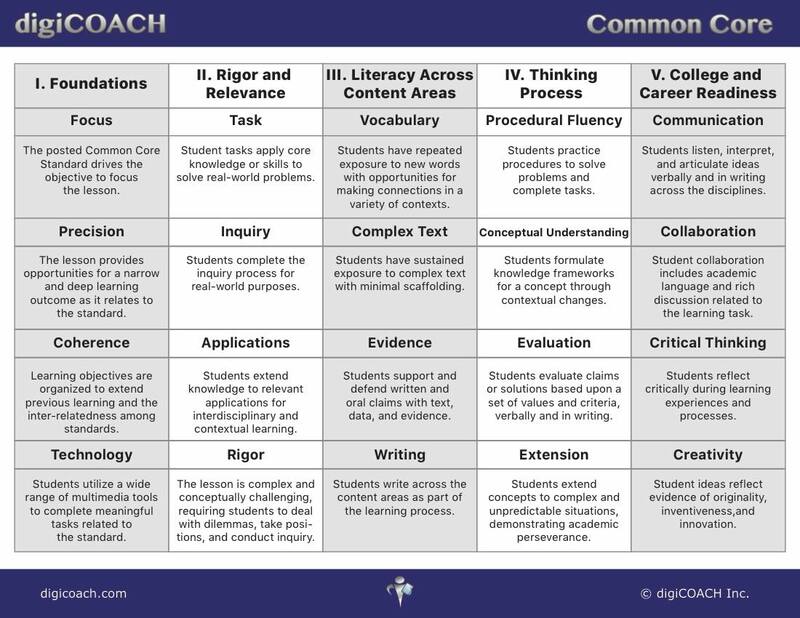 Lay the ground work with these essential common core foundations and Ensure lessons are meeting the rigorous requirements that the CCSS demands. Prepare students for the heavy level of reading and writing that the CCSS testing requires and ensure students have a foundation for life beyond K-12 education. 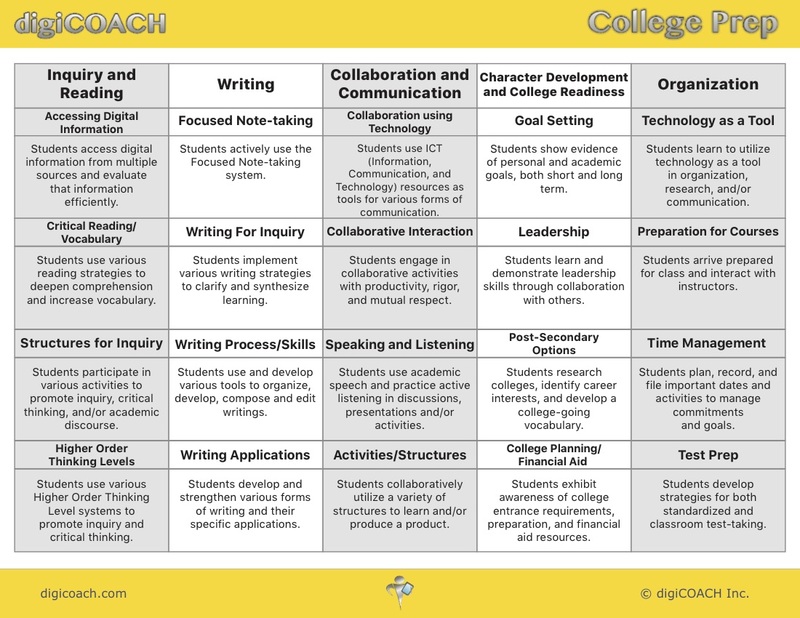 Ensure students are being prepared for college with the use of the digiCOACH College Prep Edition. The College Prep edition includes look-fors that are proven to help prepare students for college. 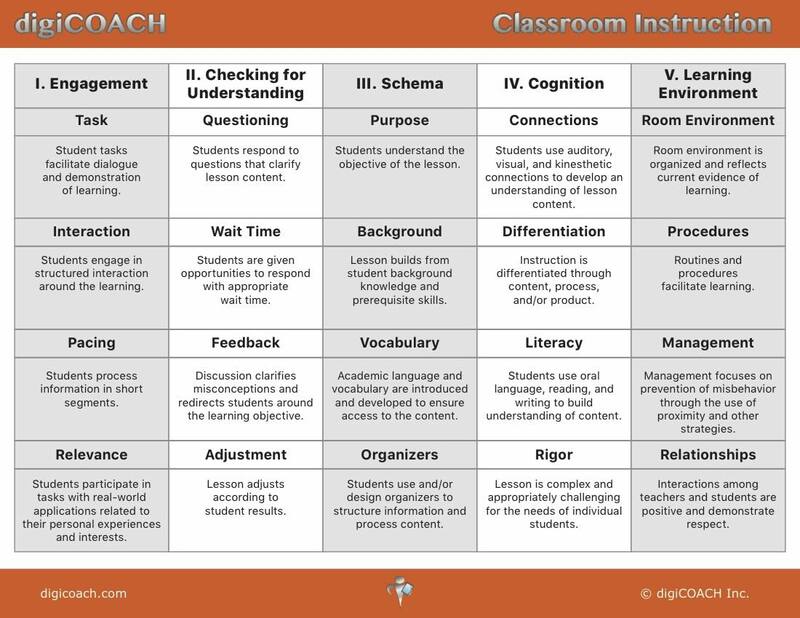 With a focus on writing and inquiry, students will be prepared for rigorous college curriculum, while the focus on communication, collaboration, and organization will help student prepare for group work. Designed in collaboration with Rancho Campana High School, a unique 21st century high school focused on rigorous, project-based curriculum in Engineering, Health & Biological Sciences, and Arts & Entertainment. 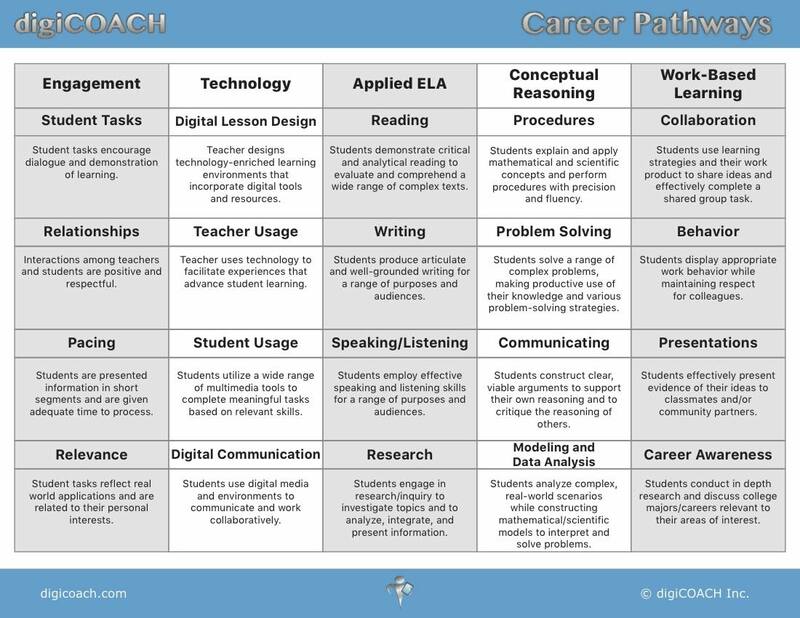 The Career Pathways edition brings a focus on technology, conceptual reasoning, and work based learning to ensure students are ready for life beyond high school. Support your teachers as they implement Positive Behavioral Interventions in the classroom with digiCOACH Positive Behavior edition. 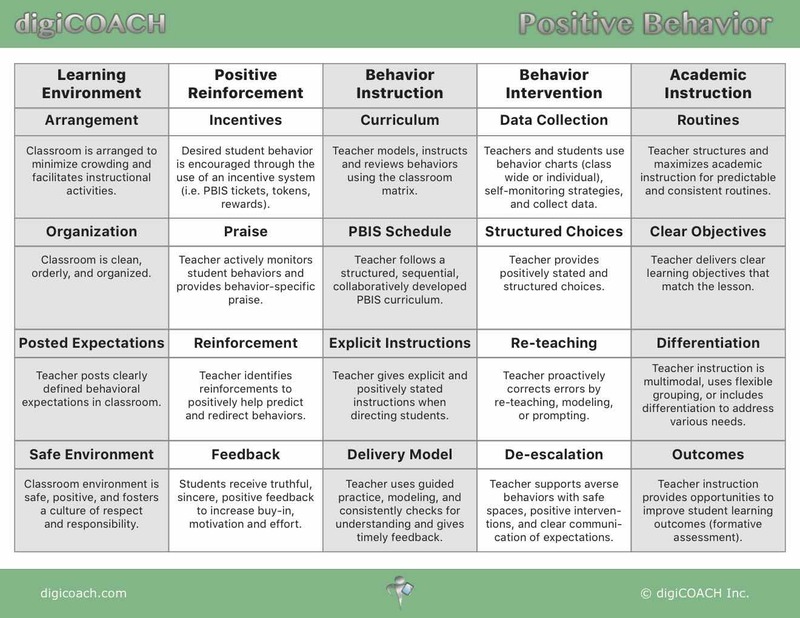 digiCOACH Positive Behavior works as a tier 1 intervention to increase the use of research based PBIS strategies. Build social/emotional skills in your classrooms and school-wide to create a safe and respectful learning environment for all students. Built with a partner district, the digiCOACH Preschool edition is designed to support preschool and early start programs. The digiCOACH Preschool Edition features specific strategies and coaching tips tailored to pre-k instruction. Focus on a positive classroom environment and ensure effective instruction is taking place in your pre-k classrooms with digiCOACH Preschool Edition. Does your state have a required observation form? Or maybe your district has a contract mandated look-fors. We know every site has their own needs which is why digiCOACH can be customized at the site or district level. Work with our team and utilize our prebuilt editions and feedback statements to build a custom edition that aligns with your site or district's unique needs and goals. 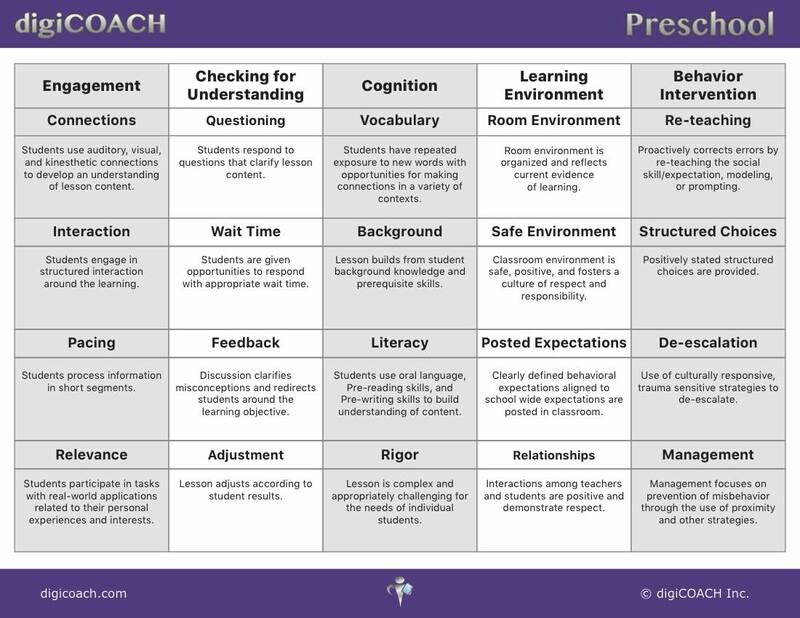 Every digiCOACH observable and feedback statement can be tweaked to better fit your specific needs.